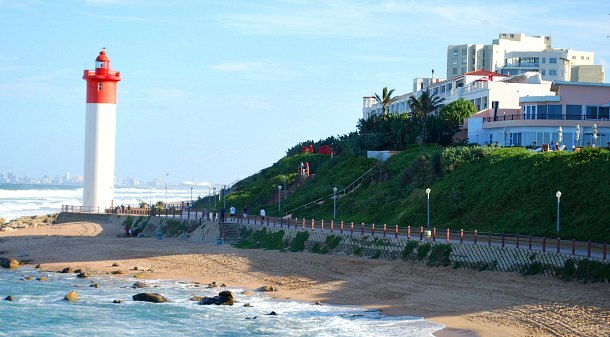 Umhlanga is an attractive seaside community, just up the coast from Durban in South Africa. It has a lovely holiday feel and there’s plenty to see and do. 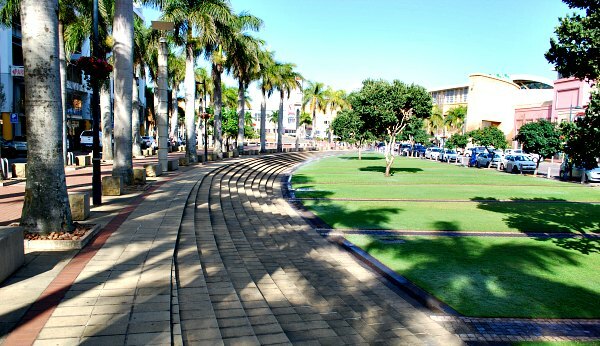 Umhlanga is split into two main areas. 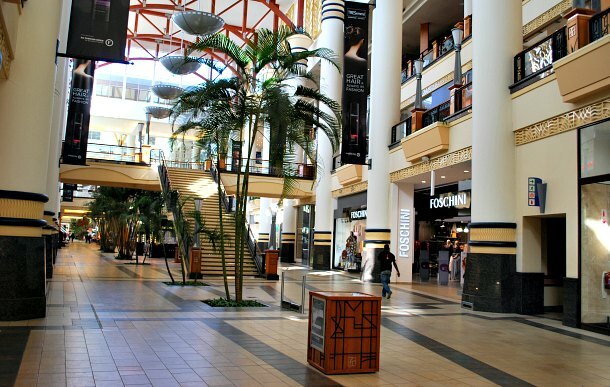 The older town centre of Umhlanga, sometimes referred to as Umhlanga Rocks, is the bit right on the coast whereas Umhlanga Ridge is the newer shopping and dining area up the hill. In between are housing developments and the M4 motorway. We walked between the two areas without issue and it takes around 25 minutes, but you may prefer to drive. On the coast, the beach is the big highlight with lovely golden sand and it’s here that you’ll find two other central features. The lighthouse which sits on the paved promenade and the pier giving lovely views of Durban on a clear day. The walkway stretches for around 3km and has landscaping alongside making it a pleasant walk to the end and back. On the pier, look out for the pretty mosaic inlays which feature on the floor every few feet. Look out to sea, and you’ll often see the queue of container ships waiting in turn to enter Durban harbour. Some of them have to wait weeks to get in! Away from the coast, there are shops, restaurants and hotels nestled around several central roads. 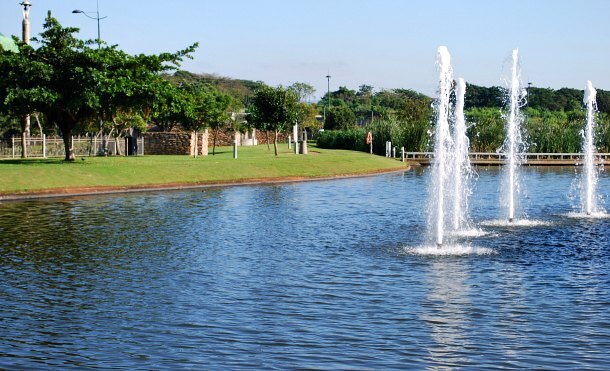 At Umhlanga Ridge, most of the attractions are centred around the Gateway To Theatre Shopping Complex which is huge. Outside there’s a pleasant walkway (pictured above) which joins the main entrance and the Chris Saunders Park (pictured below) with its attractive water fountains. There are also plenty of eateries here and hotels too. This is where we chose to stay on our visit to Durban at the 4* Umhlanga Ridge Hotel. Durban city centre is around 20 minutes drive, but we felt this hotel gave us the best of both worlds in that you feel like you’re staying at the seaside, but still have easy access to the city centre. The hotel rooms are modern, clean and comfortable with free wi-fi and the breakfasts were lovely! Over the years, the luxury hotels of Umhlanga have become known for their Afternoon Teas. People flock from all over the region to enjoy delicate sandwiches & scones with a view of the sea. The best options for Afternoon Tea are the Oyster Box Hotel or the Beverly Hills Hotel across the road.